Thoroughly wash and dry kale, mixed greens, and Brussels sprouts. 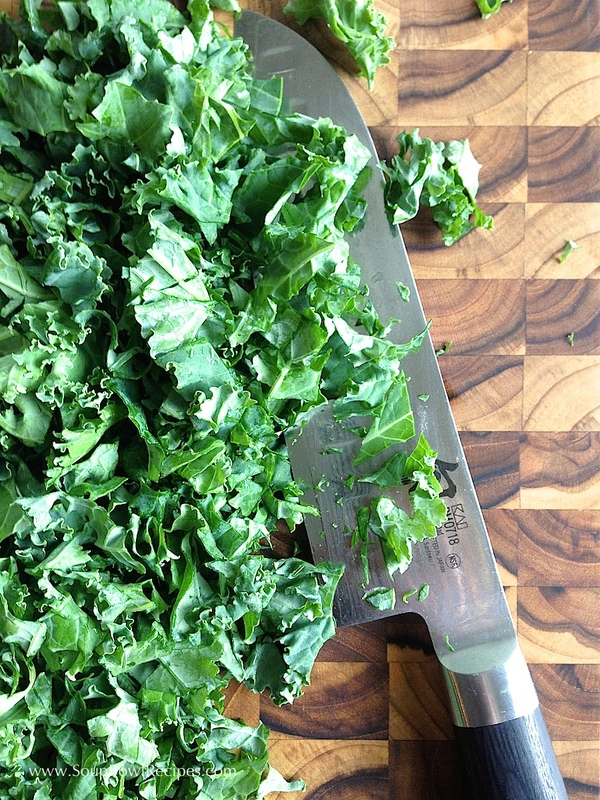 With a sharp knife, remove the center stem from kale and roughly chop. Place in a large salad bowl. 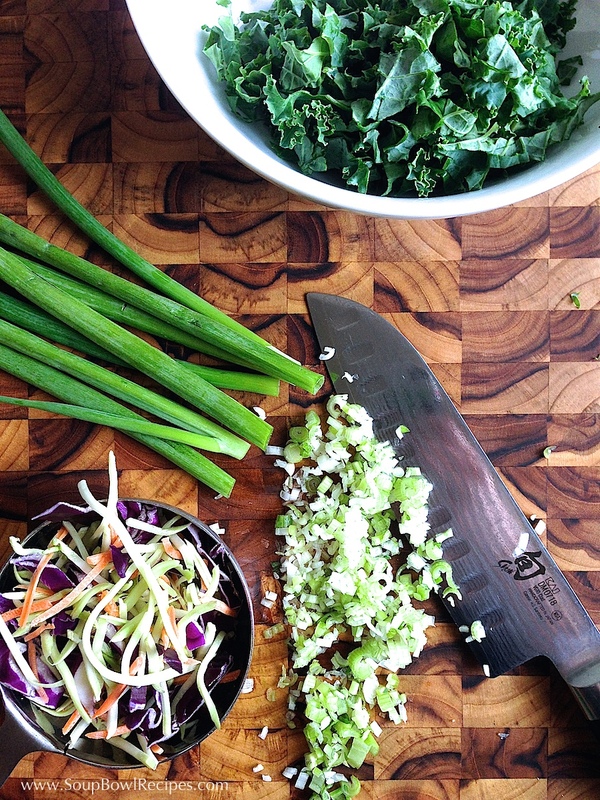 Finely chop the scallions and add them to the salad bowl along with the broccoli slaw and chopped mixed greens. 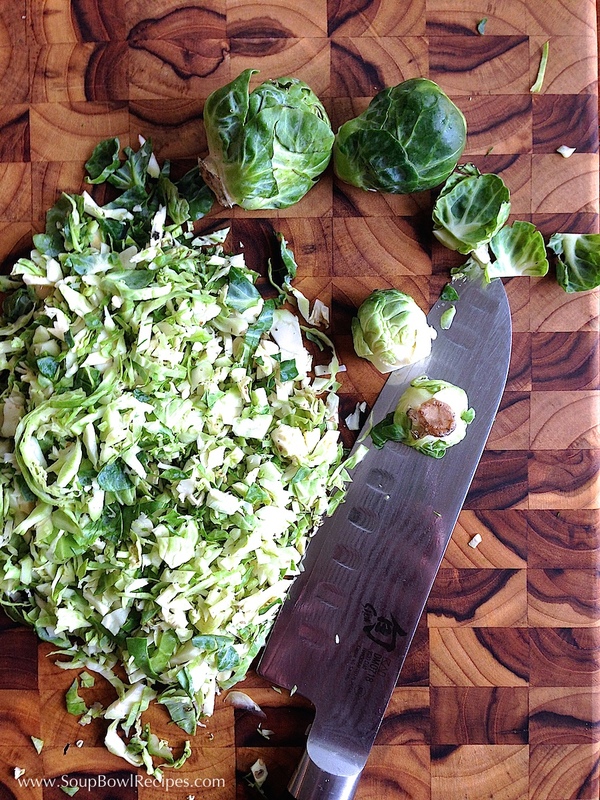 Cut the stems off the Brussels sprouts and thinly slices, then cut slices a couple times in the opposite direction until leaves are roughly chopped. Place in salad bowl. 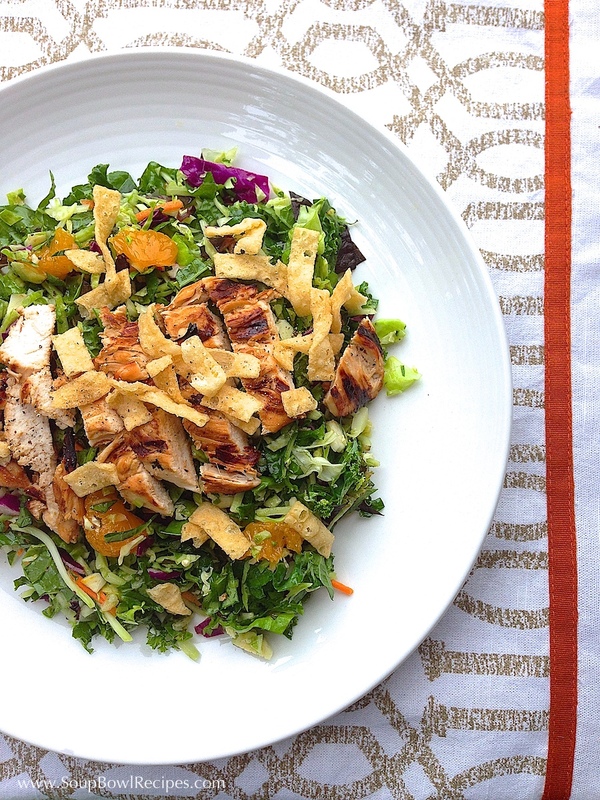 With your hands or a pair of salad tongs, mix salad until combined. 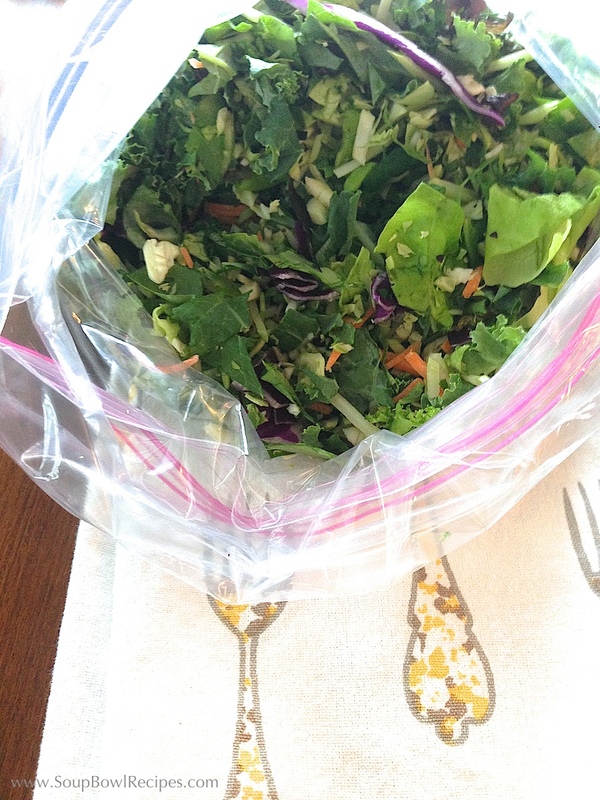 Either dress salad and serve immediately, or store in a resealable freezer bag in the refrigerator for 3-5 days. *Wonton strips can be found in most supermarkets, either in the produce section or the salad dressing aisle (usually next to the croutons), or sometimes in the Asian aisle. If you can’t find them, ask a store employee because these yummy, little treasures add a satisfying crunch that you don’t want to miss. Prick chicken breasts all over with a fork and place in a resealable freezer bag. Add all remaining marinade ingredients to bag and seal, removing as much air as possible. Marinate for 30 minutes at room temperature, or up to 8 hours in the refrigerator. When chicken is done marinating, remove from bag and shake off excess marinade, discard marinade. Using a paper towel, pat chicken dry, then brush both sides with olive oil. Prepare outdoor grill for medium-high heat, or a skillet on the stovetop for medium heat. Cook chicken for 7 minutes a side or until internal temperature reads 165°F. Transfer to a plate and allow to rest for 10 minutes before slicing. Vigorously whisk all ingredients together in a tall liquid measuring cup. Dressing should be covered and can be stored at room temperature for 4-6 hours, or up to 3 days in the refrigerator, then brought to room temperature before serving. Give the dressing one quick whisk before pouring over salad. 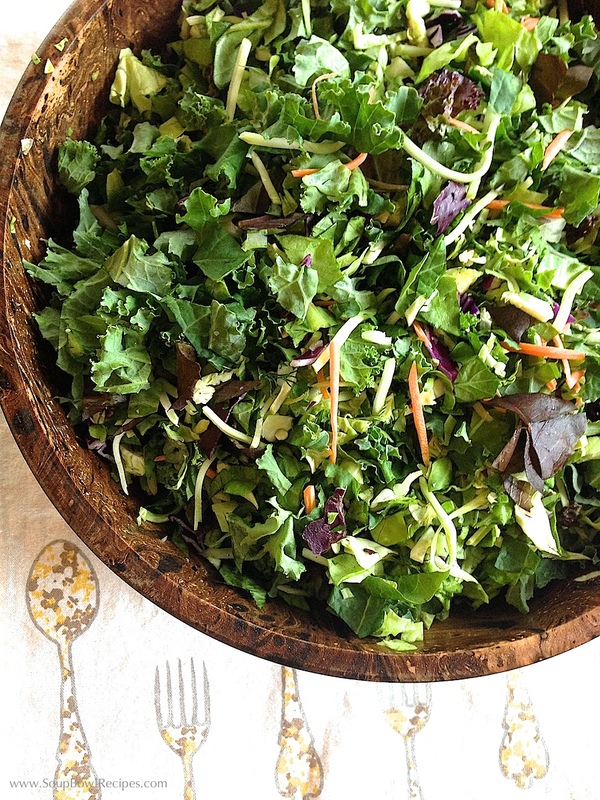 Pour dressing over salad greens and toss to combine. Add Mandarin oranges and toss one more time. 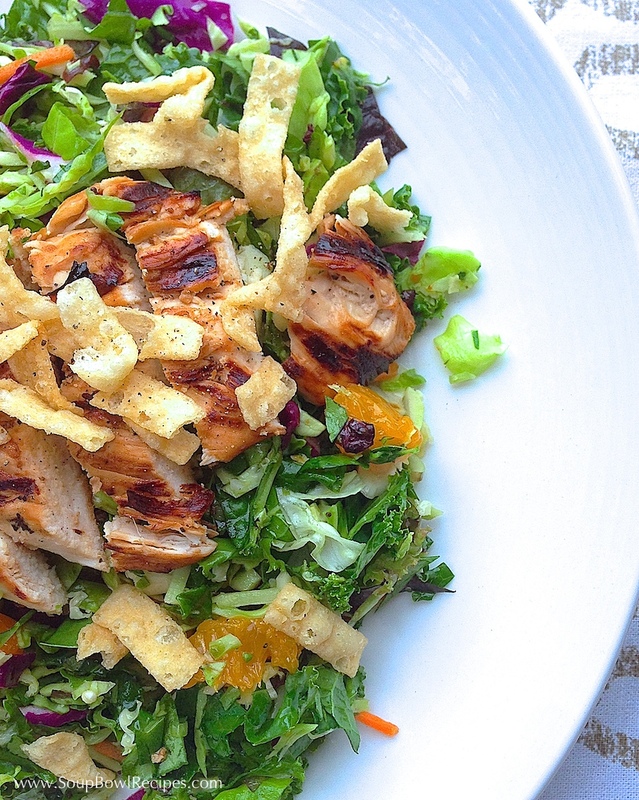 Divide greens among 4-6 separate dinner plates, then top each salad with a sliced chicken breast and a sprinkle of wonton strips. Season with fresh cracked black pepper. Sidekick: Serve with chilled sake or a glass of citrusy Gewürztraminer. Replace chicken with 12 oz. of extra firm or hard tofu. Remove tofu from package, drain, and set on a paper towel lined plate. Place a couple more paper towel sheets over the tofu, then a second plate on top of that, weighted down by 1 or 2 cans from your pantry. 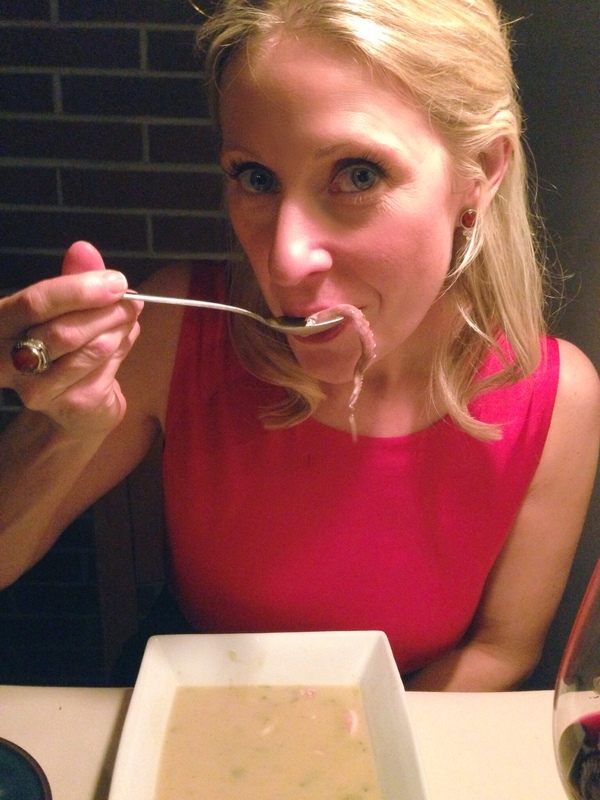 Allow to sit for 15 minutes to drain out excess liquid. Place tofu in a resealable freezer bag, then pour marinade ingredient (listed below) into bag and seal, removing as much air as possible. Marinate for 30 minutes at room temperature, or up to 24 hours in the refrigerator. Sauté in a heavy skillet with a little bit of olive oil until both sides becomes crispy and dark. Transfer to a cutting board and slice into small strips. Proceed with the rest of the instructions on how to make the dressing and assemble the salad.